Confessions of a Campus Missionary: Tis' The Season To Serve! Tis' The Season To Serve! 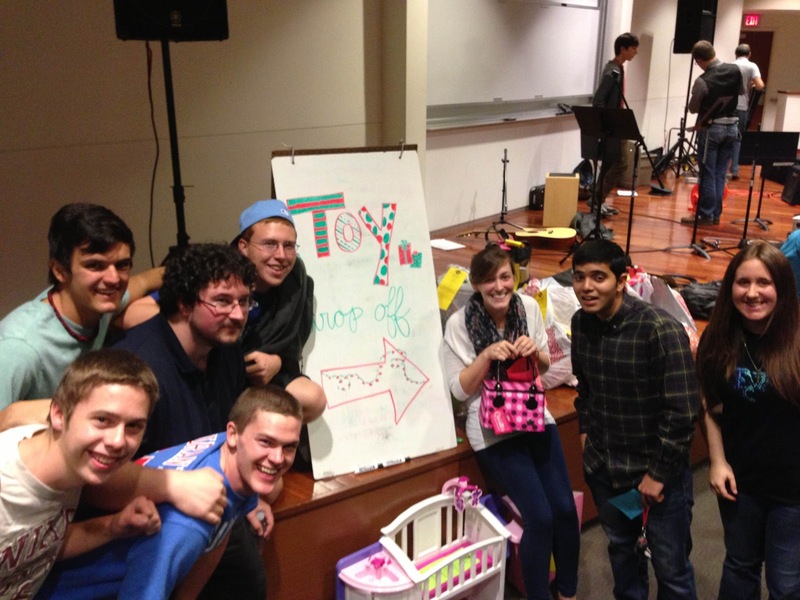 Students gather around all of the toys we gathered for our 2012 FOCUS Toy Drive! This year for FOCUS we partnered with the Community Partners of Dallas to participate in their annual toy drive. This service provides Christmas gifts for children and teenagers in Dallas ranging from age 5 to 18 who are from underprivileged families. Some of these individuals are abused, neglected, or molested and are in desperate need of the Jesus' spirit. FOCUS came through big and provided over 60 kids with their Christmas wishes this year and we dropped them off on Saturday, December 8th at their Dallas warehouse location. The nonprofit organization was extremely grateful for our work and it was a real pleasure to help out those whose may not have the privileges and opportunities that we have. Let's remember that this is the season to give and serve, not to receive and neglect. Let us remember our God who came to serve and seek what was lost. My prayer is that this holiday season we would do the same!